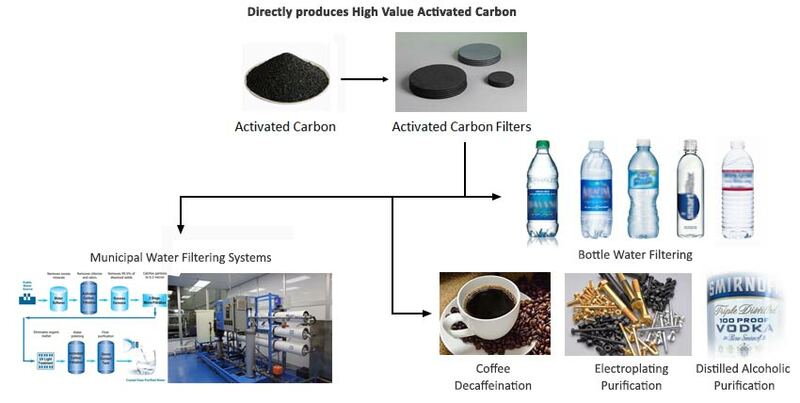 V-Grid’s Bioenergy Server – Model 100 generates Low-Cost Electricity and High-Value Activated Carbon. 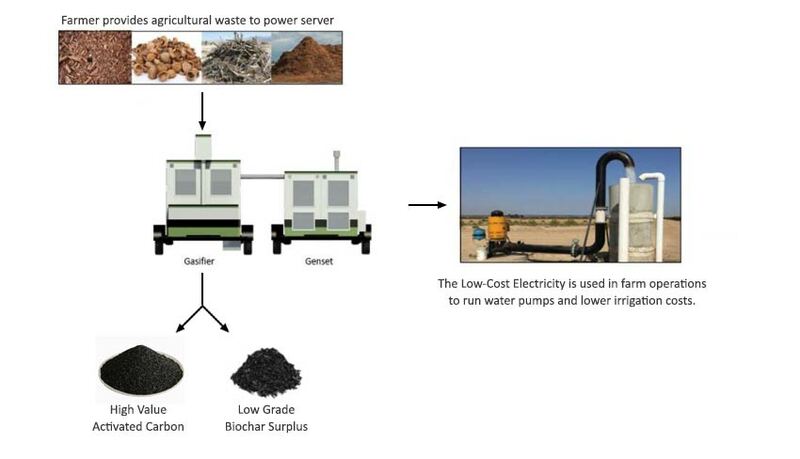 The Low-Cost Electricity is used in farm operations to run water pumps and lower irrigation costs. food/beverages and pharma/medical. V-Grid has systems currently in operation in California’s Central Valley. 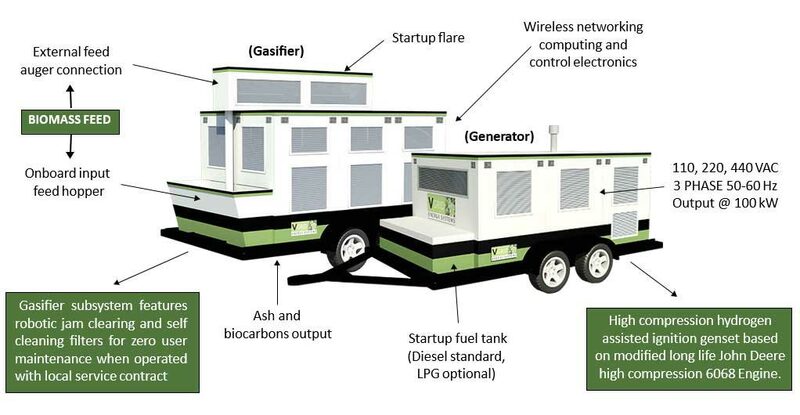 Our founder is the patent office registered inventor of the biochar product that won the 2015 Edison Gold Medal in agriculture and, as of 12-1-2015, is the number 1 selling biochar. 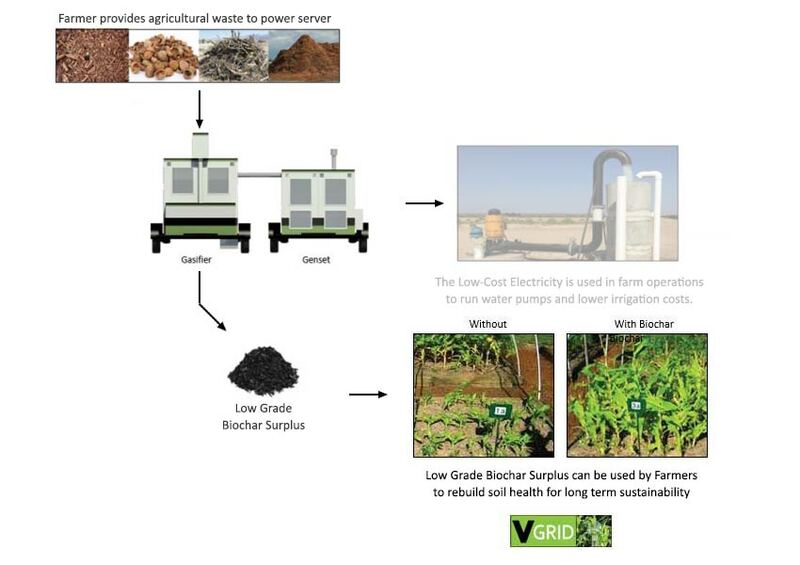 V-grid bioenergy servers can produce an even more advance form of biochar which would otherwise be too expensive to make, so we think our technology can significantly upgrade farm soil as well as making ultra low cost electricity.